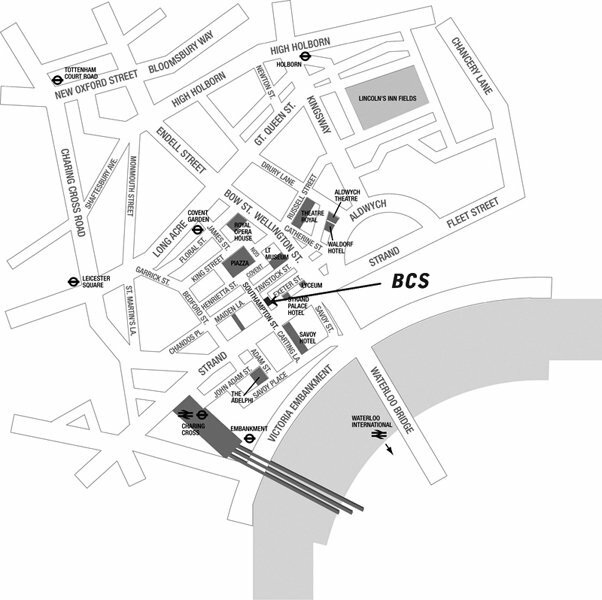 UCL and BCS Academy are delighted to present the 14th London Hopper Colloquium on Thursday 18 October 2018 at the BCS headquarters in London. This one-day event features women speakers talking about their research and includes the Research Spotlight Competition, open to female postgraduate students. Please join us for this exciting occasion, for the opportunity to network with other new researchers in the field of computing. Registration is now open! Please visit the BCS website! The event is free to attend but you must register! Registration is now available through the BCS website here. The Research Spotlight competition focuses on women research masters students and PhD students, providing them with a friendly forum for communicating the essence of their work via short (3-5 minute) presentations to other postgraduate students and postdocs. Three prizes of £100 each, provided by IBM, will be awarded for the best presentations. Two prize winners will be selected by the judges, one prize winner will be chosen by popular vote of the Colloquium delegates. The research may cover any topic within the field of computing and/or related interdisciplinary studies. Presentation topics may be from any research area within the field of computing, and may encompass interdisciplinary studies connected to computing. During the day there are fourteen such talks split between two thirty-minute sessions. For instructions and guidelines please go to the BCS Academy webpage here. UCL Computer Science is a global leader in research in experimental computer science. The 2014 Research Excellence Framework evaluation ranked UCL first place for computer science; 61% of its research is rated ‘world-leading’ and 96% of its research is rated ‘internationally excellent’. UCL Computer Science research has made a deep, lasting and sustained impact on all aspects of society. Code written at UCL is used across all 3G mobile networks; medical image computing now means faster prostate cancer diagnosis and has developed cutting edge software for neurosurgery; a human-centred computer security approach has transformed UK government’s delivery of online security. UCL Computer Science enjoys a rich history – it established the first connection to the precursor of the Internet outside the US – and continues to create innovative technologies that change lives with computers. The BCS Academy of Computing is the Learned Society within BCS, The Chartered Institute for IT, and is dedicated to advancing computing as an academic discipline. By developing and supporting a cohesive community inclusive of scholars, researchers and professionals with a shared commitment to the advancement of computing, the Academy aims to nurture ingenuity, inventiveness and innovation in computing. It is through our range of activities that we promote excellence in the creation, study and application of knowledge in computing. BCS, The Chartered Institute for IT, promotes wider social and economic progress through the advancement of information technology science and practice. Bringing together industry, academics, practitioners and government to share knowledge, we promote new thinking, inform the design of new curricula, shape public policy and inform the public. IBM's prized research, development and technical talent around the world partner with governments, corporations, thinkers and doers on ground breaking real world problems to help make the world work better and build a smarter planet. The London Hopper Colloquia grew out of the Scottish Hopper Colloquia, and are modelled on the American Grace Hopper Celebration of Women in Computing which is designed to bring the research and career interests of women in computing to the forefront. These annual American meetings are held as a tribute to Admiral Grace Murray Hopper - pioneer of the computer business language COBOL - who inspired many young U.S. Naval computing students during her heyday and still continues to inspire computer scientists around the world many years after her death. Abstract: In many high-resolution imaging modalities and in imaging of dynamical processes, the major bottle neck is the acquisition time of finely spatially sampled data. In particular, in the dynamic context this inevitably results in incomplete data. In this talk I am going to review the journey towards dynamic photoacoustic imaging we embarked on in our group at UCL. I will consider fast numerical models for wave propagation for the implementation of the forward and the adjoint operators. I will describe different approaches to reconstruction from compressed or subsampled data for acceleration of a static image reconstruction and finally I will discuss fully dynamic image reconstruction using spatio-temporal regularisation within the variational framework including applications to dynamic PAT and CBCT. Biography: Dr. Marta Betcke is a Lecturer in Department of Computer Science at UCL. She is a member of the Centre for Medical Image Computing and one of the founding members of the Centre for Inverse Problems at UCL. After obtaining PhD in Numerical Analysis in 2007, Betcke was a PostDoc at the University of Manchester where she developed a new class of reconstruction methods, multi-sheet surface rebinning methods, for axially offset gantry cone beam CT scanners. Between 2010-2013 she held an EPSRC PostDoctoral Fellowship “Image reconstruction: the sparse way” which initiated a shift of Betcke’s research towards variational methods for image reconstruction from compressed/subsampled measurements in various tomographic applications including X-ray transmission, scatter and photoacoustic tomography with the ultimate goal of enabling solution of dynamic inverse problems. Recently, she has also developed an interest in machine learning informed approaches to inverse problems. Abstract: By devising an adequate formalism to express and prove properties of systems that can be modelled by a stochastic behaviour, theoretical computer science can impact and improve industrial applications that make use of probabilistic reasoning. Software reliability, risk planning, decision-making in safety-critical scenarios, and automation in its many hardware or software forms are some examples of these applications. Instances of such formal tools span from temporal logics and automata for infinite inputs to two-player games; and are all capable of measuring and evaluating the probability of some events, usually represented as stochastic state machines like Markov chains or Markov decision processes. In this talk, I will introduce the importance of probabilistic modelling and the most used technique to verify whether a model satisfies a desired property (or does not satisfy an undesired one), also known as the model checking problem. I will show how probabilistic statements about systems’ properties, which are fairly easy to express as formulae in some temporal logic, are embedded into automata, far less easy to understand for the human eye, and how these automata offer an alternative approach to the model checking problem. Biography: Claudia Cauli is a second-year PhD student in Computer Science at the Department of Informatics, University of Leicester. Claudia’s PhD research focuses on formal methods for the analysis of probabilistic systems; in particular, on theoretical tools such as automata, logics, and two-player games to specify and verify the validity of temporal and probabilistic statements over stochastic models, e.g. Markov chains. Prior to starting her PhD studies, Claudia earned an MSc in Advanced Computational Methods from the University of Leicester, and a Bachelor’s Degree in Computer Science from the University of Cagliari, Italy. In spring 2018, she joined Amazon Web Services as an intern in the Security and Automated Reasoning Group, Silicon Valley, where she worked on the application of formal methods in threat modelling and security review processes. One of Claudia’s main interests is how formal methods, probabilistic and not, can aid emerging fields such as autonomous driving and robotics. After the end of her PhD, she aims to work as a researcher in industry. Abstract: The amount of data the world produces is growing exponentially every year and many companies are realising the potential of harnessing this data. Much of this data is generated in the form of a never ending stream of events, such as clicks on a page, or messages sent to social media. Apache Kafka is a popular event streaming platform that allows developers to react to these events in many different ways. This session will introduce the key use cases for Apache Kafka, from data analysis through to full event-driven applications. It will also give an insight into why the community around Apache Kafka is growing so quickly and why Kafka is different from other messaging solutions. Finally it will cover the platforms and libraries that are available to help you get started with event streaming. Biography: Kate Stanley is a Software Engineer for IBM based near Southampton. She works on IBM Event Streams and specialises in the microservice architecture. She has co-authored an IBM Redbook on microservices and has created samples to demonstrate industry best practices. She also works on the open source microservice project Game On. Katherine has given workshops and presentations at various technical conferences around the world, including JavaOne in San Francisco and DevoxxUK in London. Abstract: Software has nowadays pervaded all aspects of our lives. This allows the production and collection of a large amount of information about people’s behaviours and decisions. Predictive analytics exploits such information through intelligent systems able to identify patterns and predict future outcomes and trends. Applied to Software Engineering, it helps us better understand software processes, products and customers in order to maximise product quality, users’ satisfaction, and revenues. In this talk I will present some of the automated approaches based on data mining, artificial intelligence, machine and statistical learning, I have devised to support software engineers in their activities. Biography: Federica Sarro is a Senior Lecturer (Associate Professor) at University College London (UCL), Department of Computer Science. At UCL she is the head of the UCL App Store Analysis (UCLappA) research group and Director of the spin-off company Appredict Ltd. Her research covers predictive analytics for Software Engineering (SE), Empirical SE and Search-Based SE, with a focus on software effort estimation, software sizing, software testing, and mobile app store analysis. On these topics, she has published more than 60 papers in prestigious peer-reviews software engineering conferences and journals. She has also received six international awards, including three best paper awards and the GECCO-HUMIES medal awarded for the human-competitive results achieved by her work on multi-objective effort estimation, and has attained funding for her research in predictive analytics for SE from Microsoft Azure Research. She is an active and highly regarded member of the Software Engineering community: Over the last four years she has organised and chaired more than 15 international conferences and workshops and served on more than 50 program committees, and since 2015 she has been member of the Steering Committee of the International Symposium on Search-Based Software Engineering (SSBSE). She is also an Associate Editor of many prestigious SE journals such as the Empirical Software Engineering (EMSE) journal and IEEE Software (Mobile Applications and Systems area blog), and she has been Guest Editor for the IEEE Transactions on Evolutionary Computation (TEVC) and Elsevier Information and Software Technology (IST) journals.